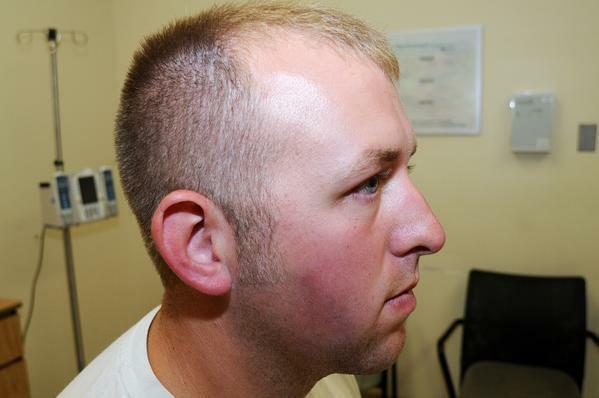 The secret grand jury decision on Michael Brown’s killer, Darren Wilson, has come and gone. Bob McColloch, St. Louis prosecutor rigged this decision from the onset. His organization BackStoppers provides benefits to police, fire departments, and EMS workers who have lost a family member on the job. This may seem like a good idea on the surface, but it lumps all of these departments together and essentially makes them all reliant on each other when they should be completely separate. So Bob McColloch could decide to cut benefits for EMS and fire departments apart of this organization if they don’t support his racist agenda. That is what makes his organization so dangerous. It is worth mentioning this is not the first time McColluch has covered up racist police murders. Via wikipedia: “In 2000, in the so-called “Jack in the Box” case, two undercover officers, a police officer and a DEA agent, shot and killed two unarmed black men in the parking lot of a Jack in the Box fast-food restaurant in Berkeley, Missouri. In 2001, the officers told a grand jury convened by McCulloch that the suspects tried to escape arrest and then drove toward them; the jury declined to indict.” McCulloch also drew controversy when he said of the victims: “These guys were bums.” The two men killed, Earl Murray and Ronald Beasley, had prior felony convictions on drug and assault charges. “In 1997, in the so-called “Kinkogate” case, McCulloch gave – using the power of the grand jury, but without informing it – a subpoena to the police in order to identify a whistleblower who was acting lawfully. He first claimed the fax contained a threat but later conceded that there was no threat and no crime, but denied any wrongdoing. The whistleblower had to quit his job.” McColloch may have such a vendetta against black men because his father was killed by a black man when he was 12 years old, but he must be step down from power because of his obvious prejudices. It is important to mention that Wilson was already fired from Jennings police department in 2011. The city council voted to fire everyone in department for mass corruption and racial profiling: http://www.huffingtonpost.com/2014/08/24/darren-wilson-jennings-police-department_n_5704133.html and http://www.dailykos.com/story/2014/08/24/1324175/-WaPo-Darren-Wilson-s-previous-job-was-at-disbanded-PD-fraught-w-racial-tension-like-Ferguson The St. Louis PD was put in charge instead and Wilson just transferred over to the St. Louis PD before killing Michael Brown. If you are not familiar with the murder details of Micheal Brown I will mention those. At 11:54 am on August 9th, Michael Brown (an 18-year-old African American) and Dorian Johnson left Ferguson Market and Liquors. Surveillance cameras showed Mr. Brown taking some cigarillos. Wilson (Caucasian) says he received a call about this misdemeanor on dispath and a rough physical description of the two men. (He says he did not know who they were when he first saw them.) 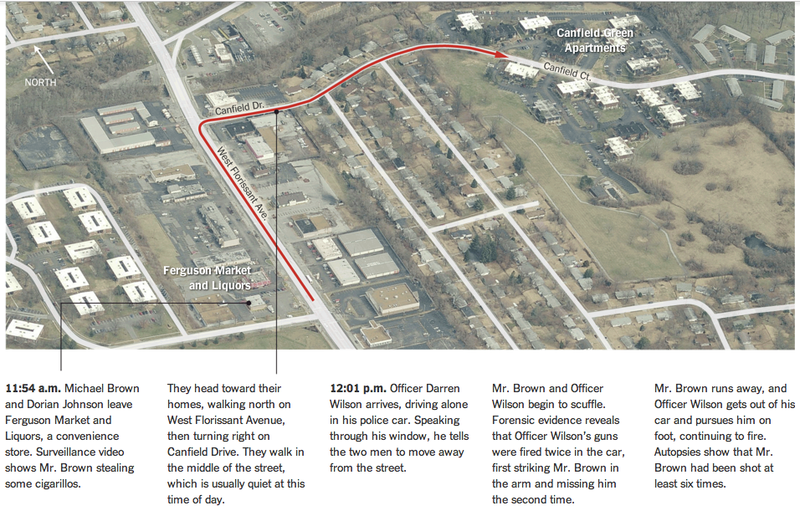 At 12:01 pm Wilson found the two walking down the street in his police car. He told the two men to move away from the street, and then a verbal argument ensued. Wilson whipped around in front of them in his police SUV, blocking the street and nearly hitting them. Wilson didn’t even get out of his car before shooting Brown twice and missing the second time. Wilson could have speed away in his police car if he legitimately felt his life was in danger, but the 18-year-old was unarmed, so there was no reason for him to feel he was in danger. Wilson did not have to fire two shots at Brown. 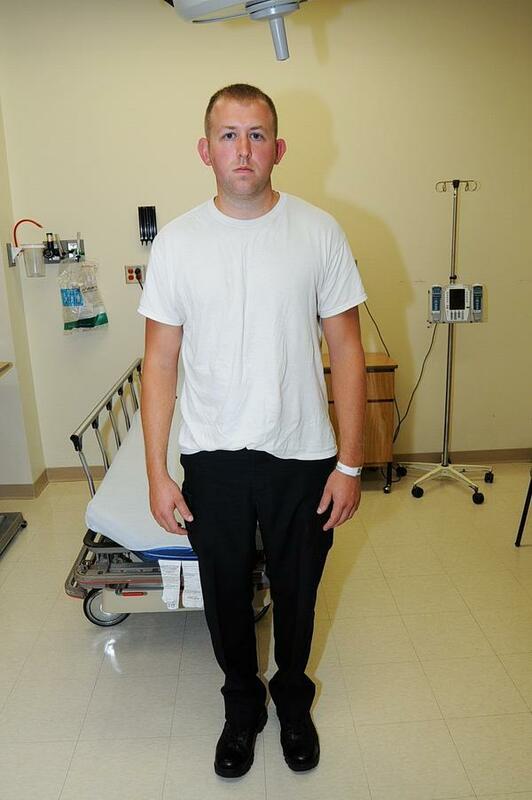 Even if Brown had grabbed for his gun, perhaps after Wilson shot him, this did not give him the right to shoot him. And it certainly didn’t didn’t give him the right to follow after him over 100 feet with his gun and then execute the 18-year-old in broad daylight. He did not call for EMS, but instead left Micheal bleeding on the street for four and a half hours while he and other officers cordoned off the street with police tape. 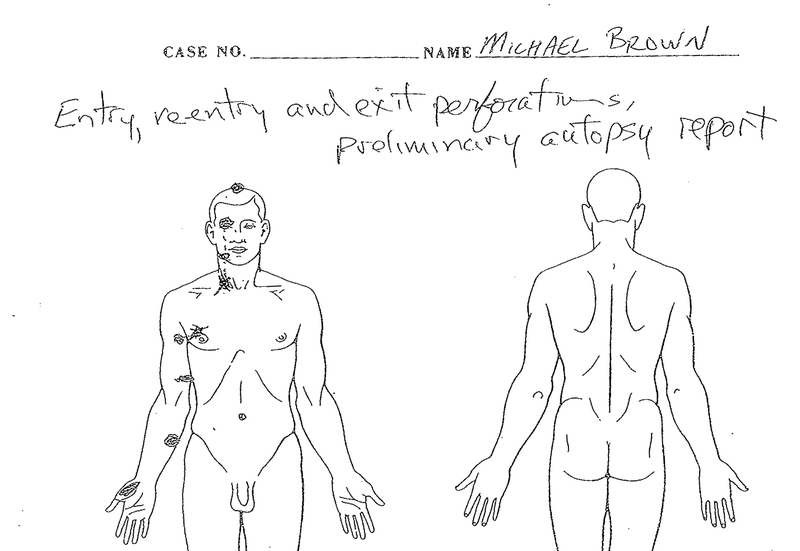 The autopsy showed that Wilson had shot at Brown 12 times and Brown had been hit at least six times. The St. Louis PD is classified as a nonprofit organization, as is the NFL, which makes just about as little sense. Chief Colonel D. Samuel Dotson III oversees a budget of $173 million annually according to their own website: http://www.slmpd.org/chief_of_police.shtml. He oversees 1,319 sworn officers and 548 civilian employees. 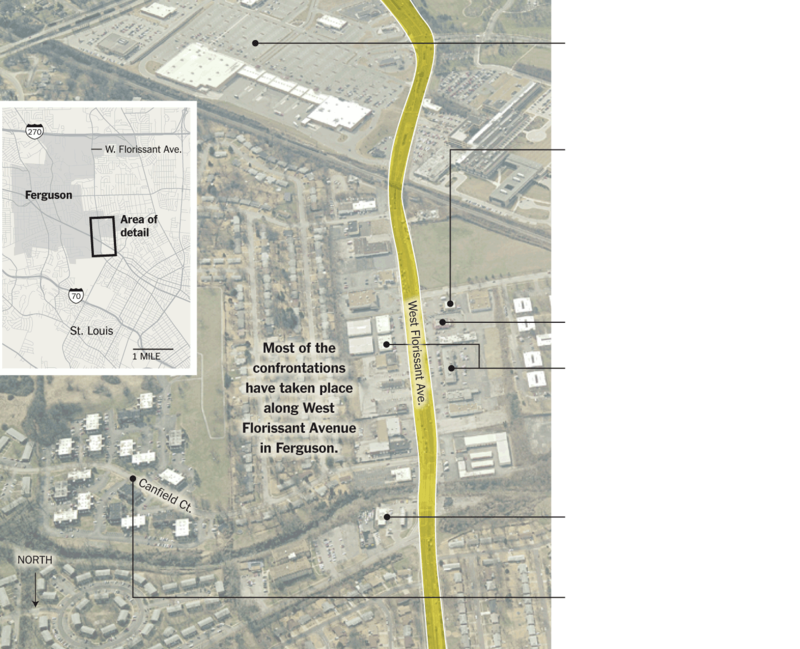 Ferguson is the second largest city in the state, and it is also one of forty one independent cities in America. 38 are in Virginia. The last two are Baltimore in Maryland and Carson City in Nevada. 318,000 people live in St. Louis. The St. Louis Police Chief Dotson told residents to stock up on food and water before the verdict. This means they expected and wanted riots because it makes nonviolent protestors look bad. One broken window was the cause for the police brutality immeditately following the Grand Jury verdict. A line of police vehicles creeped through the town, firing tear gas randomly in all directions. Police expect to use violence against protestors. But what turns a nonviolent protest violent is almost always police, and they know that. Please read this to see what really happened in Ferguson after the Grand Jury decision: http://theantimedia.org/ferguson-how-protests-turned-to-riots/. The National Guard and St. Louis PD ought to be ashamed of their actions. Police want their activities to be secret so that they don’t have to be held accountable when they do break the law. That is why the St. Louis PD been using tear gas on protestors and they twice established a no-fly zone over the city. We need a massive non-violent response to this. Every news agency with a soul should be in Ferguson to record what is going on. The police are still cracking down on nonviolent protestors. Everyone in the city should keep filming the police response, so that we can deescalate the situation and prevent violence. The potential for violence is only higher with the KKK threats. The KKK, a cowardly organization (I don’t even know how they still exist) founded under the guise of their racist interpretation “Christianity” was founded in America in 1865. It called for the purification of society and publicly announced that it didn’t accept non-white races and lynched many. It is estimated that some 5,000 to 8,000 people currently identify to with Klan groups in America. In an interview with a member of Anonymous, Frank Ancona asserted that they just wanted to be heard. They believe they have a right to protest. By law they technically do. But they cannot insist they are just peaceful protestors like those in Ferguson protesting police brutality when they are threatening the lives of innocent protestors. They only jumped on this racist bandwagon because they of their racism. They didn’t care about the facts of this case. They saw in the news that a white cop had killed a black man and they rejoyced. That was the cause for their intervention. They may have the right to exist under the law, but that is all. Most people of America despise the KKK. Gun sales spiked in the area immediately following Brown’s death, and some businesses boarded up their storefronts in an attempt to prevent looting since they expected it. But gun sale spikes could have been due to police and police sympathizers wanting to “intervene” and create more violence. The Missouri KKK had the gull to say: “The people of Missouri have rights too.” Nonviolent protestors are there to protect those rights. None of them are making terrorist threats against police in America. 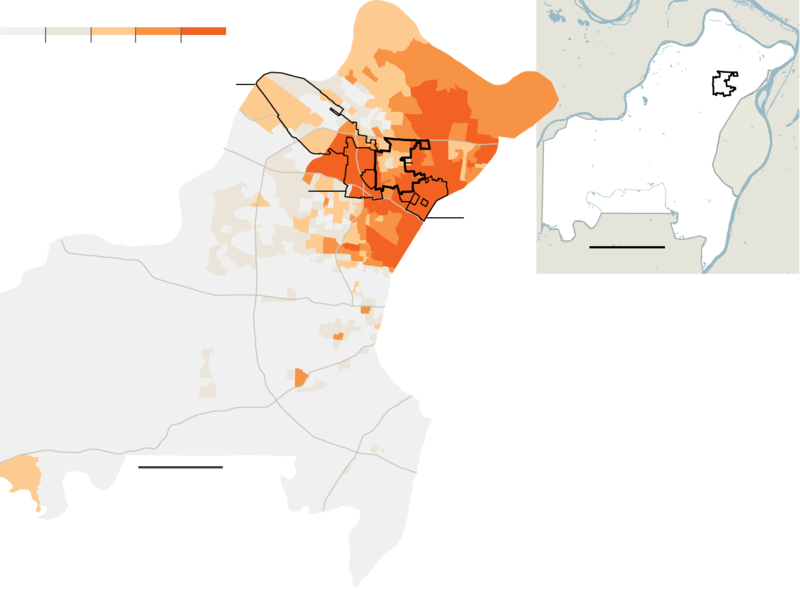 The protests there have been nonviolent and about the safety of common people in Ferguson. The riots only occur when police incite them, and I think there is anger right now targeted at the liquor stores and other businesses there that don’t uplift anyone. These stores shouldn’t have been looted. Of course, that is no way to progress. But there is a reason that everything that occurs. There is a stimulus for every response, and a reaction for every action. The irony of the KKK, known for lynching minorities out of hatred, calling to “protect” the residents of Ferguson is absurd. If anything, they have only incited violence. In a political move, the KKK is now welcoming blacks and gays. I must assume this is so they can lynch new black and gay members or take their money at the very least. The KKK has historically received protection from the government, as their demonstrations have often been protected by certain judges’ interpretations of the First Amendment. The Klan can say whatever they want just as everyone else can, but this does not give them or anyone else the ability to do whatever they want if it infringes on other people’s rights. The KKK thinks they can ride the wave of racism getting attention in America. They think police will take their side. If that’s true then St. Louis police are even more disgusting than I thought. (Some Ferguson police do, in fact, have ties to the KKK, but how deep this goes I don’t know.) The KKK has also been raising money for Darren Wilson through Gofundme campaigns. Sympathizers have even been talking about the “emotional stress” Wilson must have felt due to the nonviolent backlash. To do what you can I would suggest writing to the Bureau of Police Misconduct, Internal Affairs, the governor of St. Louis Jay Nixon, the St. Louis Police Department, Dotson, McColloch, and even the KKK to tell them how you feel about the senseless killings we have seen and the escalation of police brutality in America and around the world. Let’s hope the Federal Court indicts Wilson, so that we may see justice and another murderer off the street. I know nonviolent protestors will do the right thing, but I don’t know if the government, military, police, and the KKK will. I stand with the nonviolent protestors of Ferguson. I will defend them to the end. Let’s all do what we can to end police brutality in America and around the world. NBC News: Ron Allen and Tracy Connor.